Google I/O developer's conference 2018 witnessed the company's Augmented Reality (AR) efforts around its mapping service Google Maps. Using AR, Google Maps will provide users with direction on their screen by simply pointing out their phone' camera in real-time. Google Maps AR navigation feature is now live for select users. According to the WSJ report, although Google Maps AR navigation is unlikely to be a primary turn-by-turn option for most users, Google Maps has taken a huge step in the right direction. The report describes Google Maps obtains a person’s GPS coordinates in order to determine his/her location. 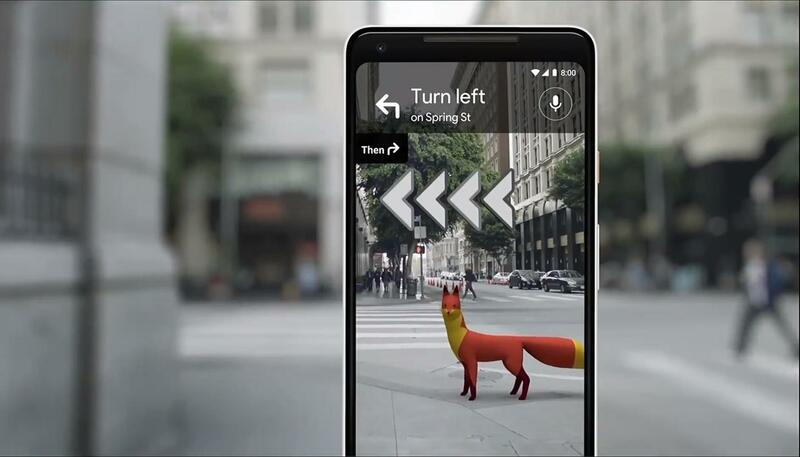 Once the location is obtained, Google Maps uses Street View data to show on-screen directions using Augmented Reality (AR) objects and elements such as big arrows. Interestingly enough, Google Maps doesn't want you to use the camera persistently. In fact, it urges users to put it down after a short while to stay focused on the road instead. According to reports, Google is busy experimenting with the user interface (UI) as on-screen animation and AR elements could be enough to keep users glued to the screen. The WSJ report denotes that the interface of the Google Maps AR navigation could change. At this point, we have limited information on Google Maps AR and its availability to the mass users. Google isn’t saying when the feature will roll out to users. However, we can soon expect the feature to be available for “a few Local Guides” soon. Google Maps AR navigation feature provides users with location data, and the feature is likely to expand to AR-capable glasses in the future since major tech companies such as Apple, Facebook, Google, North, Vuzix, and others have all been working on their own AR glasses.